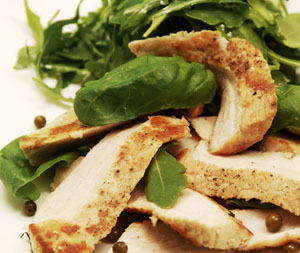 So you’re looking for the best fat burning diet but don’t know where to start? I don’t blame you. 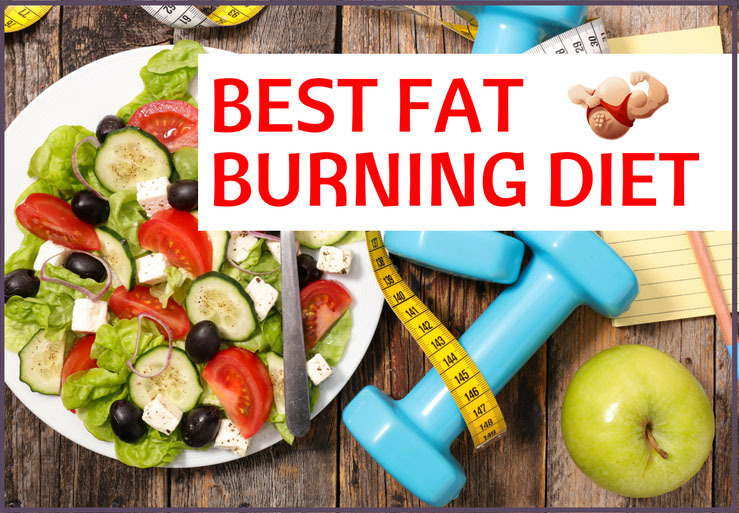 Searching for the best fat loss diet or the best natural fat burners will give you loads of results, all offering conflicting and confusing information. Where do you start? Well, in my opinion, the best place to start is right here. I’ve put together this handy fat burning guide for you so you won’t be confused anymore. By the end of this guide, you’ll know the exact principles behind easy fat loss and you’ll also get my recommendations for the best natural fat burning foods. You’ll be shredded and pool party ready in no time! The one simple principle of burning fat when it comes to diet is this: you must eat less than you burn each day. That’s it. You can get all fancy and try to complicate things (like many websites and magazines do) but that’s what it comes down to. Eating less. I just put my information in the calculator and it told me that I need 3,188 calories per day for maintenance. Now that I know what I need to maintain my current weight, I would make sure that I eat around 300-800 calories below that each day. I would start off on the lower end (~300 calories under maintenance) and see how my body adjusts. Then I would adjust up and down depending on the scale and the mirror and how I feel. So at the start of a fat loss diet, I’d probably be eating around 2,888 calories a day (give or take – no need for extreme precision). Then as the diet progresses, I might go as low as 2,388 calories per day. Find out your maintenance calories now and then subtract 300-800 calories to find out what to eat on a daily basis. A lot of people don’t like the idea of a low-calorie diet when losing fat. It used to be fashionable. In the 80s and 90s, if you wanted to lose weight, people knew you just had to eat less. Feel hungry during the day. But now, people want a magic pill that will let them eat whatever they want and still get lean. We can get into specific diet principles and different fat loss diets but first you need to know that if you aren’t eating less than you burn, you won’t lose weight. There are a bunch of different fat loss practices you can follow. Some people will have their favorite practice and preach it like it was the only one. Not true. Just experiment and find out what’s right for you. If you’ve tried a diet practice for a month and it doesn’t work or you feel terrible, try another one. Don’t yo-yo or give up too soon. Give one practice all of your effort and then try another if you need to. I’m going to outline two of my favorites that have given me success in the past: intermittent fasting and the low carb diet. I will also suggest a super aggressive fat loss strategy to push past plateaus. 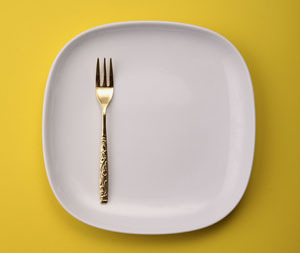 Intermittent fasting is one of my favorite ways to lose fat easily and quickly. There are many ways to do it but the core principle is that you spend some time not eating at all and only eat within a specific window. I like to skip breakfast and lunch and have my first meal of the day around 2pm when fasting. Then I can eat between 2pm and 8pm. My last meal is at 8pm. Then I begin my fast, sleep, and continue to fast the next day until 2pm. It gets you burning fat while at rest throughout the day. You'll feel fuller and more satisfied because you can have bigger meals during that feeding window. I find that this type of diet suits men more than women. 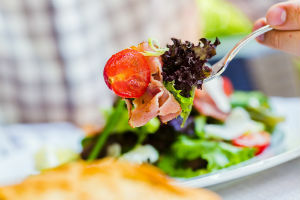 Women have had a lot of success with this diet but, in my experience, women seem to find it harder to adjust to this and many prefer to eat smaller meals throughout the day. For some reason, men seem to get used to this diet quicker. It only took me a week or so before I could comfortably skip breakfast and lunch. I also noticed that my focus and mood improved because I wasn’t busy digesting food and crashing from carbs. 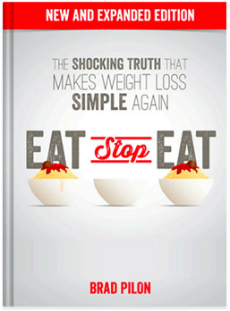 If you want to know more about intermittent fasting, I recommend you check out Brad Pilon’s Eat Stop Eat. Ah, the low carb diet. Otherwise known as the ketogenic diet. It’s super popular for a reason. It works. The basic principle is that you keep your carb intake low (I suggest ~30g per day) and keep your protein and fat content high. You actually do have some leeway for higher calories on this diet but you still can’t go bingeing on bacon and cheese and expect to get down to a respectable weight. If you try this diet and find it hard to shift the weight, take another look at how many calories you need to be eating and see where you’re going wrong in the diet. The rationale behind the low carb diet is that, without carbs, you won’t have massive spikes in blood sugar levels. This is what is mainly responsible for putting down unwanted layers of fat on your body. Fat and protein, unlike carbs, keep your body in a stable state of energy and allow your body to burn fat for energy. The low carb approach isn’t for everyone. I followed it for a while and really loved it but then my body started to crave some carbohydrates and exercise became more difficult so I stopped it. You can follow Tim Ferriss’ “slow-carb diet”. He advocates beans and lentils as a primary food source and also states that you should get 30g of protein within 30 minutes of waking up (e.g. via a protein shake). Check out his article here: http://fourhourworkweek.com/2012/07/12/how-to-lose-100-pounds/. 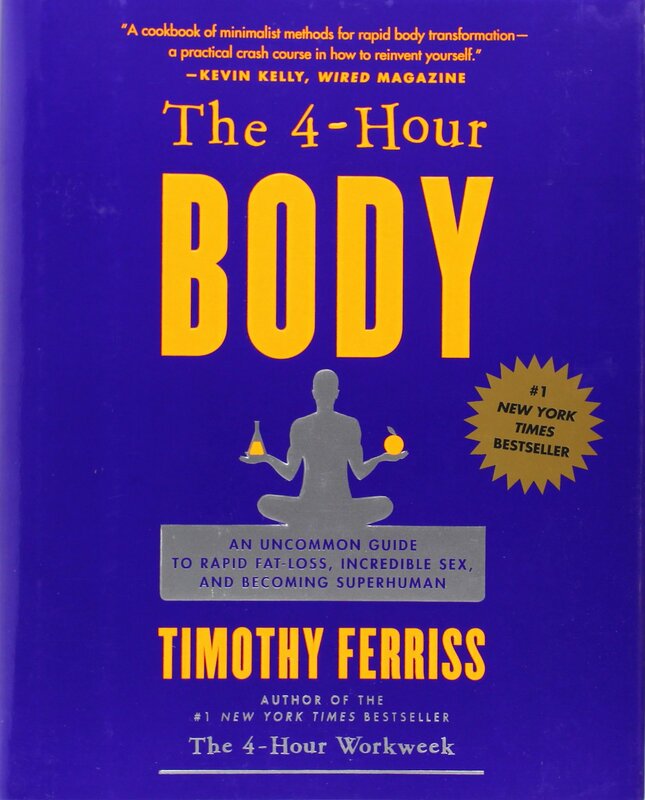 I also recommend you check out Ferriss’ fantastic book, The Four Hour Body. You can follow a cyclical ketogenic diet. That basically means you eat low carb most of the time but can have a “re-feed” or carb day once a week. Tim’s approach also utilizes this philosophy. I personally love this approach. You can follow a paleo diet. The paleo diet isn’t fully low carb because it allows natural carb sources like sweet potatoes but, with its emphasis being on natural foods, it is often naturally low carb and works well for fat loss. I followed that diet and became the leanest I have ever been. I was also in a bad mood most of the time and will never do it again. But, hey, it’s just another option that I know works. Grapefruit – This is a wonder fruit that can speed up your metabolism and increase the effectiveness of your supplements (like fat burners). Steak and eggs – I’ve put these two together because they form a meal. A great way to get super lean super quickly is to have just two meals a day and make both of them steak and eggs. This is an old school bodybuilder diet for getting in great shape. Broccoli – Make sure you get your leafy green vegetables while following a fat loss diet. Broccoli is a cruciferous vegetable that is packed with essential minerals. Pair it with your protein source to feel full and keep yourself feeling healthy. Apple cider vinegar – This is great for boosting your metabolism, reducing cravings, and helping your body better utilize carbs. You can put it on your salads or you can be super gross like me and mix it in your protein shakes or take a shot of it before bed. Apples – This fruit is nature’s candy. It’s tasty, the carbs won’t do you any harm (low-glycaemic), and it’s full of fiber. If you find yourself craving something sweet, opt for an apple instead of a chocolate bar. It will keep you on target for your fat loss goals. Ginger – This great option that will boost your metabolism. It will also help you if you have any stomach issues. I particularly love pickled ginger, the kind you get when you order sushi. Pine nuts – These are my favorite nuts. They contain a nutrient that actually suppresses your appetite. Plus they’re packed full of zinc, which will help you keep your strength and libido up. Asparagus – This is a natural diuretic. If you eat a ton of asparagus, you’ll find that you shed more water weight and can reveal that rock hard physique that’s been hiding. Green tea – A lot of experts think that green tea is the best natural fat burner. Why do you think it’s an ingredient in all the fat burners on the market? Green tea contains an antioxidant called ECGC, which actually speeds up your body’s ability to burn fat for energy. It is also a great appetite suppressant. Coconut oil – I love having a scoop of coconut oil in my morning coffee. It’s full of great nutrients and will keep you satiated, meaning you can go longer without eating and will have less cravings. This isn’t politically correct advice but it’s true. If you want to lose fat, you have to get comfortable with not being full all the time. We have a snacking culture and many people go their whole lives without feeling truly hungry. Well, if you want to lose fat, you’re going to have to feel a little hungry now and then. Feeling hungry is a good sign because it means your metabolism is working. If you’re dieting hard and you stop feeling hungry, you have overdone it and need to bump your calories back up. Not everyone needs a fat burner. I’ve got down to single digit body fat and full six-pack abs many times without a fat burner. But fat burners definitely make it easier. 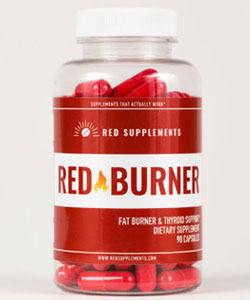 If your energy is taking a real dip, a fat burner is an excellent choice to help you through. I recommend RED Burner. 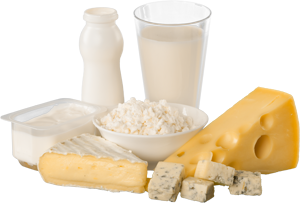 When dieting, it’s easy to avoid foods that have the nutrients we need. That’s why it’s important to supplement. I recommend magnesium, vitamin D for starters. 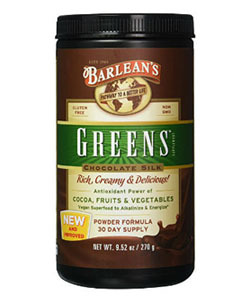 I also recommend this greens supplement. If it’s in your house, you’ll eat it. If it’s not in your house, you won’t eat it. Simple as that. Make sure you do your grocery shopping when you’re full so the candy aisle won’t tempt you. Shoot for around 3 litres of water a day, especially if you’re exercising hard. Drinking a big glass of cold water can also curb cravings. Sometimes we think we’re hungry when we’re just dehydrated. You can tell you’re drinking enough water if your pee is clear. Get ready to eat big when you come to the end of your diet. When you’ve been dieting hard for many months, your body is starved of calories. That means, when you’re super lean, you can finally eat very high calories for a short period and you won’t put on any fat. If you work out properly, those calories will shuttle straight to your muscles and you’ll stay lean. You will look amazing and your muscles, which were flat from low calories, will suddenly pop out. Don’t resort to illegal methods. There’s nothing wrong with steroids if you need them and you’re working under the direction of a doctor. But the idea of 22-year-old men taking high doses of anabolic steroids and oral steroids is ridiculous. You don’t need them at that age. Your testosterone should already be at optimal levels. Just follow the diet as outlined and you’ll do fine. The mirror is a better guide than the scale. Too many women will climb on the scales and see they actually gained an extra pound and then ditch their diet and get depressed. But, many of these women need only to have looked in the mirror and they would have seen something different. You see, the scale isn’t very accurate. Our bodies change for so many reasons. We might lose a couple of pounds of fat but gain a pound of muscle, which would skew our scale results. However, the best test for whether we are successful or not is the mirror. It’s important to take pictures each week so you can actually see your progression. Don’t confuse fat for water weight. Water weight can make you look bloated and it can be super depressing. But it’s an easy fix. 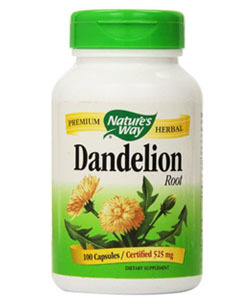 If you take a dandelion root supplement, you’ll shed that water weight really quickly. I also recommend you stay away from foods with high sodium content. I recommend this dandelion root. Schedule cheat meals or cheat days strategically. If you know you have a big event coming up, like a party, make sure you schedule that day as a guilt-free day. Letting lose for one meal or one evening isn’t such a bad thing if you’ve been strict with yourself. It’s actually a good thing because it keeps you psychologically healthy and can stop your metabolism from down regulating, leading to stalled fat loss gains. So have your cake and eat it too. Then get back to the diet! For women, I highly recommend checking out the Bikini Body Workouts program. Following a fat loss diet isn’t difficult in theory. You just have to burn more calories than you take in each day. However, it can be difficult to keep motivation when you’re actually doing it. My suggestion is to take it slowly. It’s a marathon, not a race. If you want your fat loss to be relatively pain free, set realistic goals, like 1-2lbs of fat loss a week. You’ll be successful and have the body you deserve in no time. Just hang in there, keep your diet tight, exercise properly, and the rest will take care of itself. Good luck! I know how difficult it can be but it’s totally worth it and soon you’ll have a fantastic body you can be proud of.